A few months ago me and my mum went on a little trip away to Manchester for a few days, mostly to visit the Coronation Street tour, but also to have a little girly holiday. I’d never been to Manchester before, and being the organised person I am, I decided to plan lots of other fun things for us to do while we were up there. Now my mum is gluten AND dairy free, which means sometimes finding places to eat can be a little tricky. 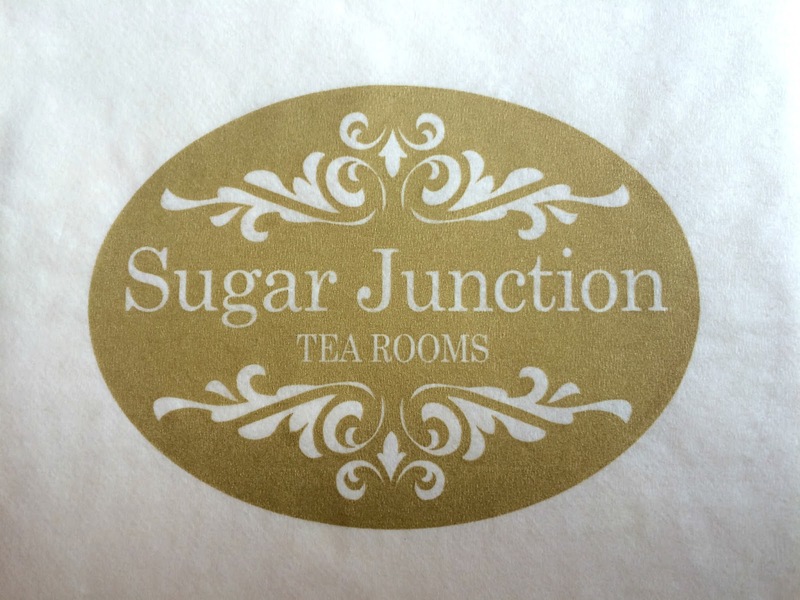 So before we went away I decided to have a little search of places we could eat that could cater to her needs, when I found Sugar Junction who offered a gluten free afternoon tea. While it said they could easily cater for those who are gluten free, it didn’t mention anything about dairy, but I thought I’d pop them an email to see if they could do anything for my mum. I was pretty amazed when they said they could happily make a special afternoon tea just for my mum. Sugar Junction is down a cute little side street in Manchester, and is decorated in the most adorable way. Lots of mismatching chairs and floral plates, with cute little kitsch accessories dotted around, it made you feel like you were sitting in a posh tea room. Mum and I shared a pot of elderflower tea while we waited for our sandwiches and cakes to come. Usually gluten and dairy free food can be a little, well, meh. 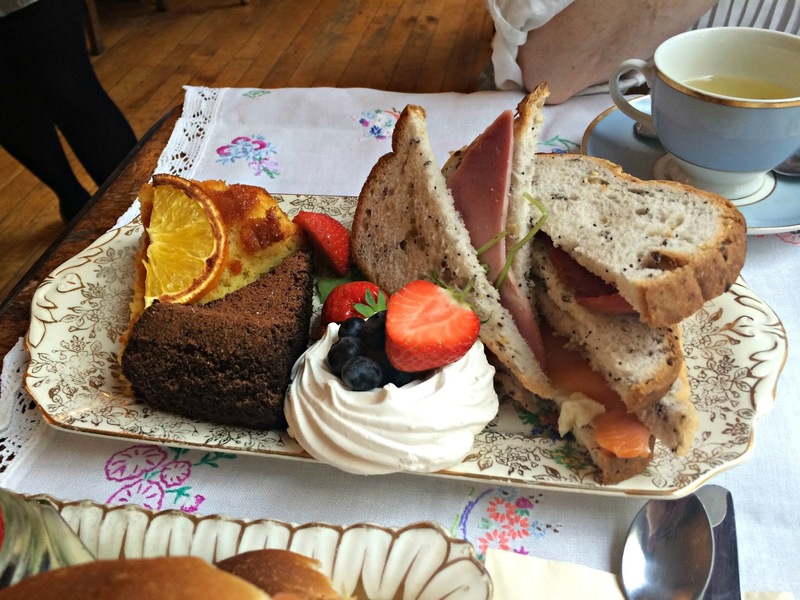 But once mum’s afternoon tea turned up we were both amazed at how wonderful it looked. They’d put together a lovely collection sandwiches, a meringue filled with blueberries, and an orange cake and a chocolate cake made with olive oil instead of butter to keep it from tasting dry. Looking at it you couldn’t tell it was any different from your usual gluten and dairy contained food, and after stealing a few bites, I can say it really didn’t taste like it was free from. 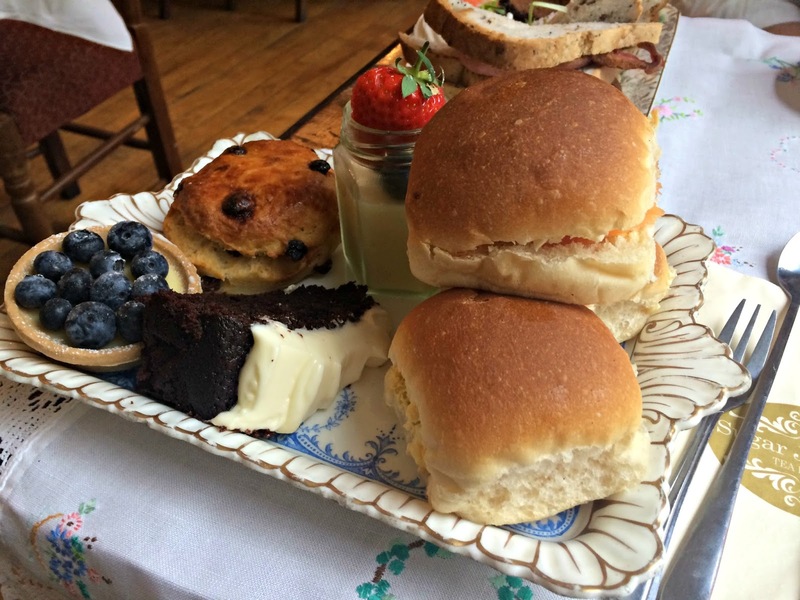 Mine was your usual afternoon tea from the menu with tasty bread rolls, a warm scone, a lemon and blueberry tart, lemon posset, and the most amazing guinness cake I have ever tasted. There was so much food, and neither of us wanted to leave any of it, so we sat and made sure we both finished everything on our plates until we were completely stuffed. After we’d finished one of the waiters told us usually people took home the cake as there was so much, oops. 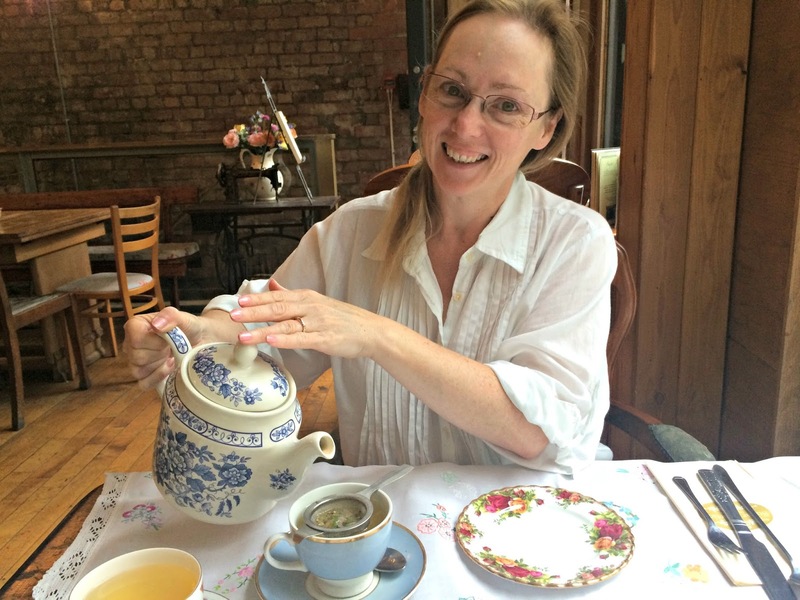 It was such a lovely way to spend an afternoon in Manchester, and it was extra amazing to how much effort they put in so my mum could have a gluten and dairy free afternoon tea!